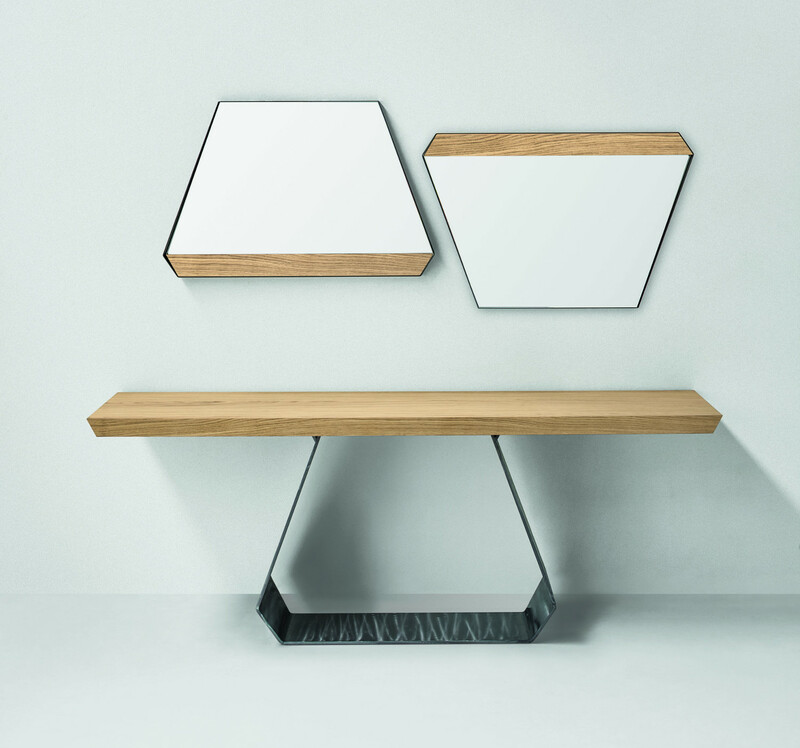 From the Amond family of tables by Bonaldo. 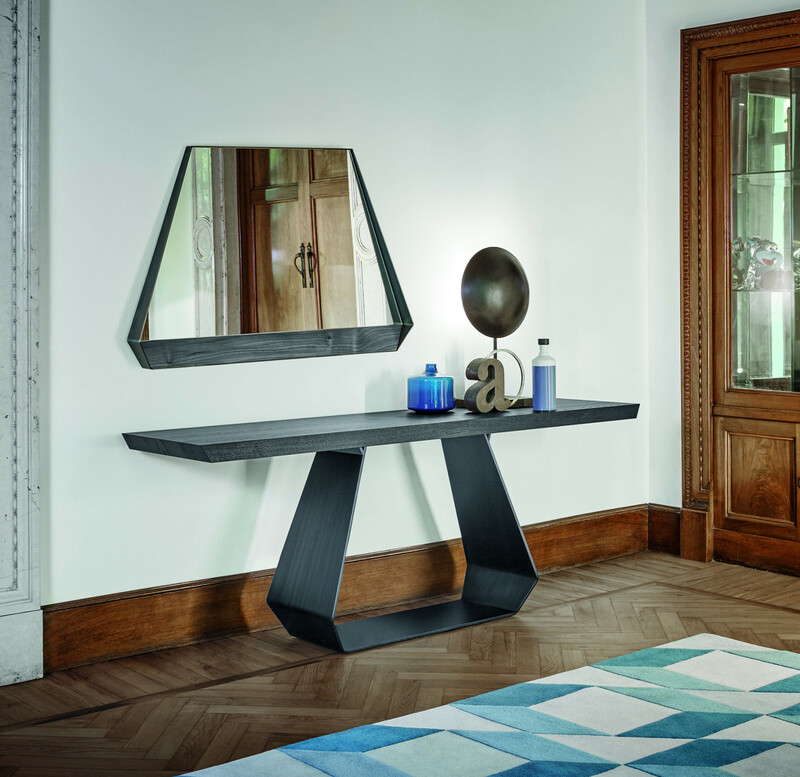 The Amond console table, like it's big brother the Amond dining table, has a thick top with a dimond shape metal base. These contrast to make a strong modern table that contrasts with the lightness created by the empty space in the centre of the base. 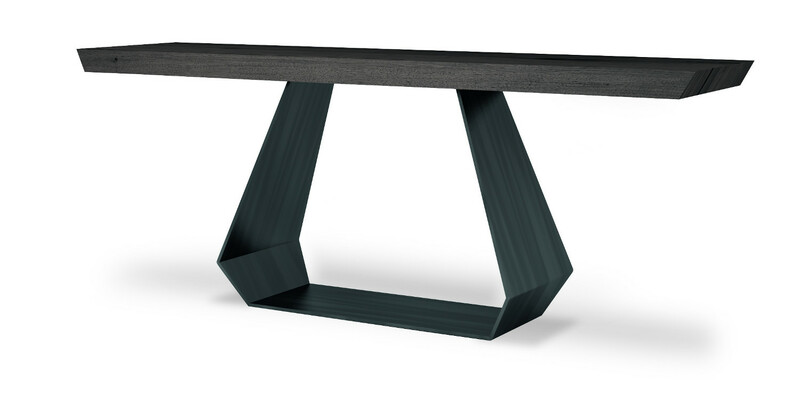 The Amond console table is in a variety of finishes, for both the top and base, please see below. Top - canaletto walnut (not polished), natural polished oak, anthracite grey polished oak, heat-treated polished oak, glossy Calacatta ceramic, mat graphite grey ceramic, mat iridium white ceramic.